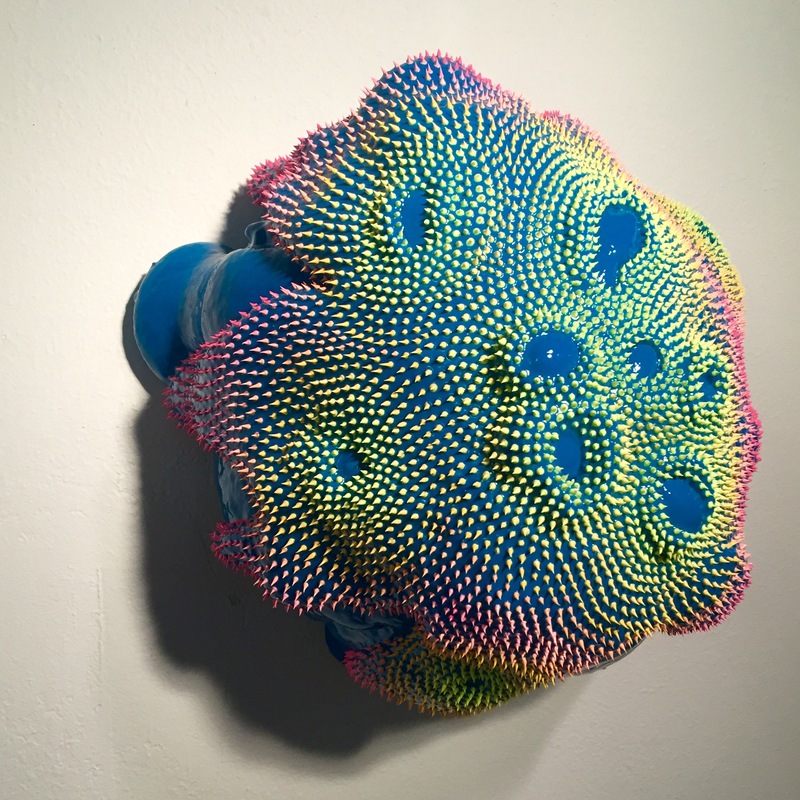 At first glance, the sculptures of Dan Lam might seem like living organisms. Created with intense hues, the pieces seem to drip right before the viewers’ eyes with an undeniable energy. 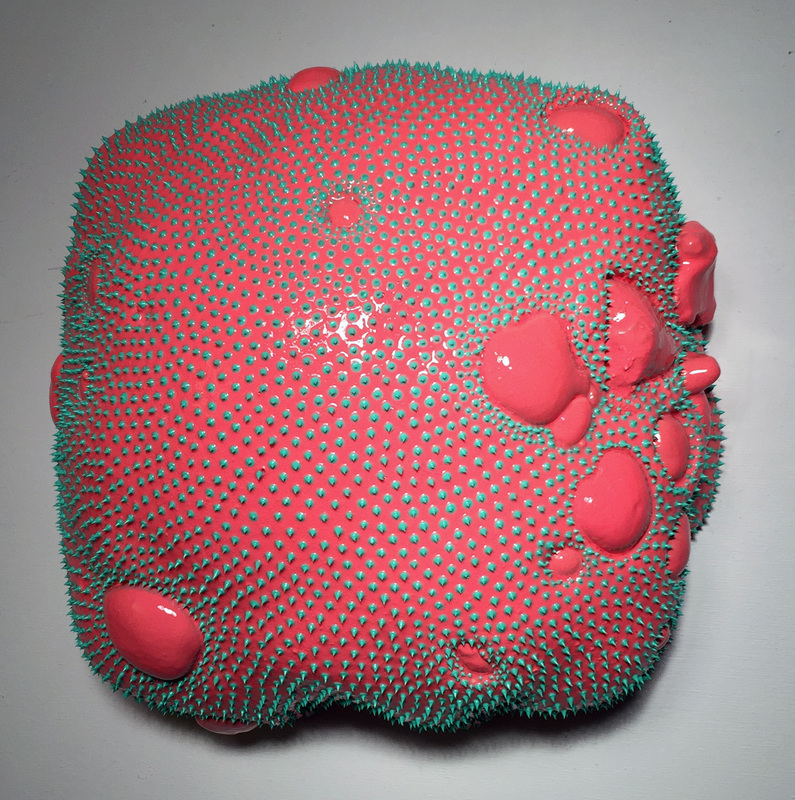 Lam uses polyurethane foam, acrylic paint and epoxy resin to create her intricate pieces. She starts with a shape and lets the foam takes its own course, guiding it ever so slightly. Afterwards, she chooses a color and dots the surfaces of each piece with paint to create even more visual rhythm. The result is an eye-catching sculpture. 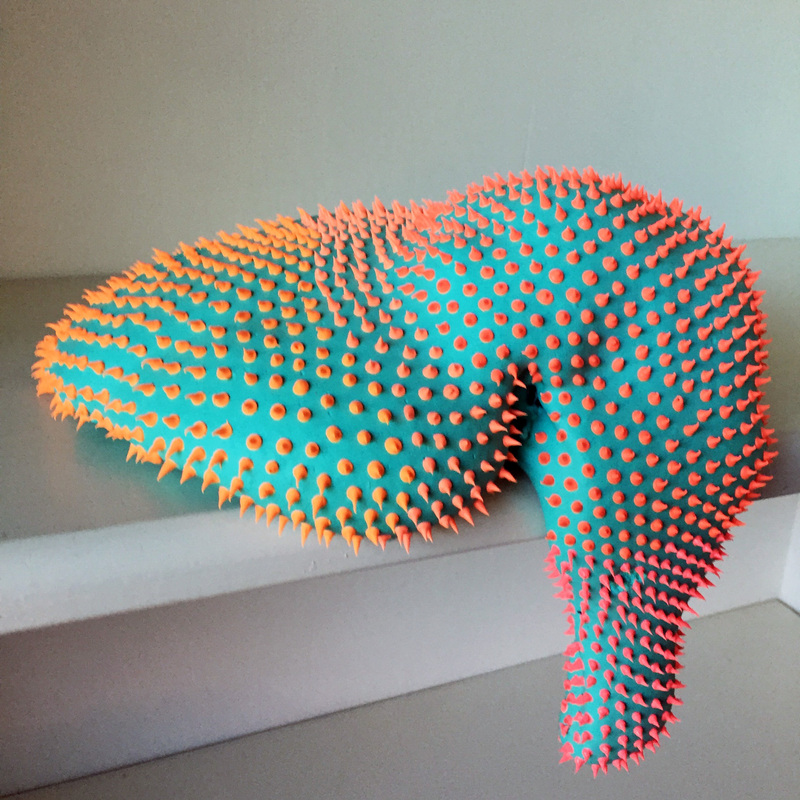 Some of Lam’s pieces look especially uncanny— they sit on ledges as if they grew from their very surfaces and will fall over at any moment. 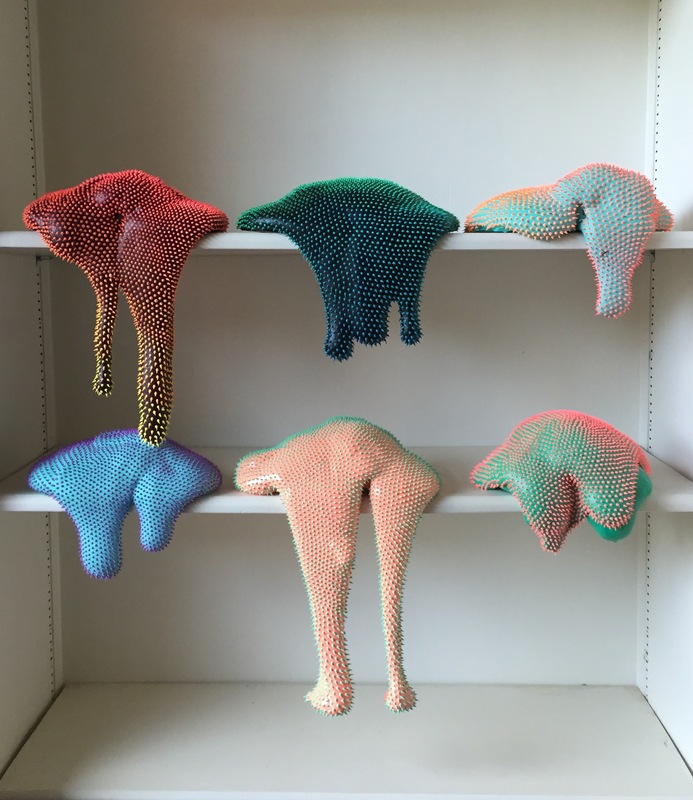 The artist also finds inspiration in the work of art figures like Eva Hesse, Claes Oldenburg and Lynda Benglis. Her process builds on the standard forms of sculpture, but still represents experimentation with the medium. Each piece almost beckons the viewer to touch it, tantalizing us with the promise of a strange, tactile experience.